The Kāingaroa State Forest was planted in the late 1920s and 1930s, largely through the labour of unemployed workers. By 1935 the forest had grown to a massive 46,878 hectares. 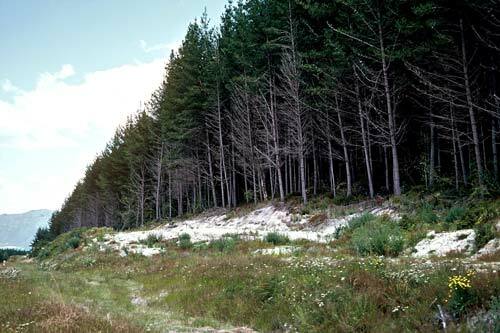 These mature radiata pine trees, shown stretching in the distance in the 1970s, are a tiny fraction of the forest.